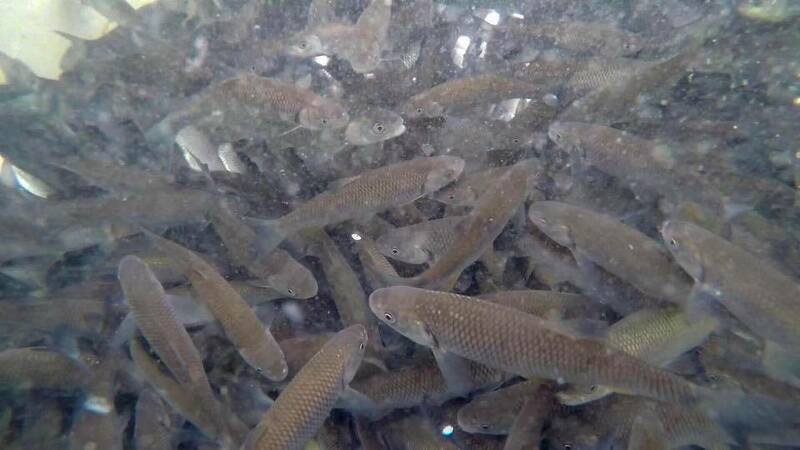 After the successful reintroduction of 8,000 Chub fish to the river this week, we have received an updated community briefing from the Environment Agency on the River Great Ouse. The updated briefings tell us more about the future plans for the recovery of the river. Within easy walking distance of the town centre, Chandos Park has a multi-use games area (MUGA), a children’s playground, tennis and bowls clubs and provides the ideal setting for a picnic overlooking the River Great Ouse. A large recreational area with footpaths, playgrounds, a MUGA (Multi-Use Games Area), picnic sites, special dog exercising areas and a Trim Trail, which is a mile long exercise circuit around the park. The Council has recently carried out a survey as part of the process in writing a Management Plan for Bourton Park. The Council wanted to understand how and what the community values in Bourton Park and what peoples’ suggestions were for the future of the popular greenspace. The consultation was created online and advertised for three weeks via social media. A link to the summary report can be found here. A newly refurbished small play area on Meadway with swings and other play equipment. This area has been recently re-developed and has a zip wire, swings and other play equipment with some open space. The River Great Ouse attractively winds its way through the centre of Buckingham and is flagged by plenty of green spaces, including Chandos Park, Heartlands, Stratford Fields and Bourton Park. The Buckingham Arm of the Grand Junction Canal was opened in 1801, though competition from the railway and silt build up meant it was disused from 1931 before finally closing down in the 1960s. However, there is still evidence of it, and it is now being restored by the Buckingham Canal Society, including the Bourton arm near to the town centre. The Railway Walk is a section of disused trackbed that has had the station and track removed, with a path laid down its length. The walk is between the A421 southern bypass and the Tingewick Road in Buckingham, covering a distance of 1.36km. It can be joined from either of these roads, or from Chandos Road. You could also follow the circular walk from the park around the town perimeter, taking in the University, Chandos Park, the River Great Ouse and the site of the old railway. It is a leisurely walk, which is clearly way marked and includes alternative routes. The Town Council works with the Bourton Road Allotment Holders Society to fulfil its duty to provide allotments for the Town. Bourton Road Allotment Holders Society manages the allotment site on Bourton Road (MK18 1GP). The Town Council is actively investigating a further allotment site to be constructed under the Buckingham Neighbourhood Development Plan and situated off the A421. Recently, Buckingham Town Council formed a Town Action Commission to look at ways to protect, create and enhance trees, hedgerows and green spaces in the town. As an output, an action plan was formulated which will be overseen by the Environment Committee. The action plan includes a number of short term, as well as long term actions that will help with this agenda. The action plan can be viewed here along with the full report here. If you would like to get involved by volunteering as a tree warden, or joining a conservation group, please email: office@buckingham-tc.gov.uk or contact Cllr. Ruth Newell via the Town Council Office on 01280 816 426. Are you interested in becoming a tree warden? Tree wardens are volunteers who gather information about their local trees, get involved in tree matters and encourage local practical projects related to trees and woods. Please see our information leaflet for more information, or to sign up please email: office@buckingham-tc.gov.uk or contact Cllr. Newell via the Town Council office on 01280 816 426.